Find out how bone conduction works, and how it has helped thousands of people to enjoy the sounds in their life. 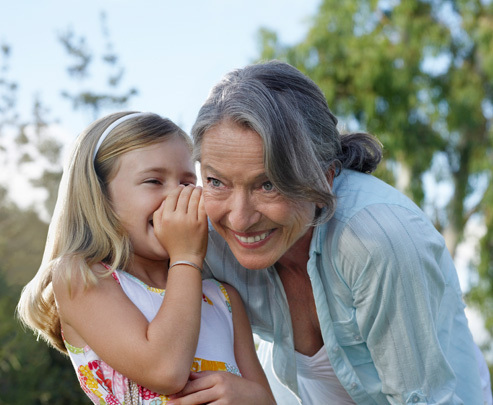 Find out which hearing solutions can help overcome different types of hearing loss. Our bone conduction hearing solutions are used by adults and children of all ages to help them overcome hearing loss at school, at work and in social situations. In bone conduction hearing, power is everything. Ponto 3 sets new standards in sound processor power and provides great audibility and understanding, so you can enjoy more of the sound details of your everyday life. Your audiologist can tell you about the upgrade process for your Ponto or Neuro sound processor, as well as any insurance or cost issues. For over three decades, Oticon Medical has developed pioneering bone anchored and cochlear implant solutions for children and adults. As a member of the William Demant Group — a global market leader in hearing healthcare with a close link to Oticon — we can draw on the group’s research skills, advanced hearing technologies and support tools, as well as its global distribution network.